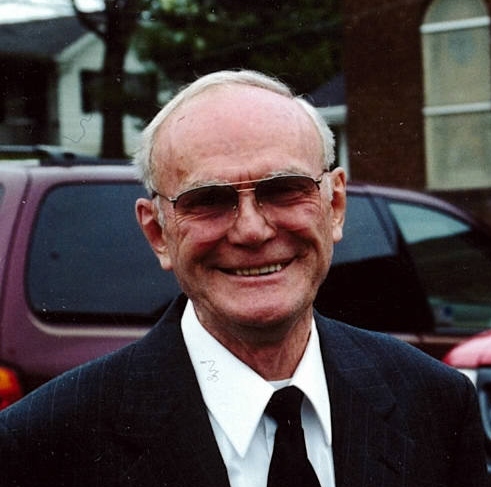 Russell Edward Patrick, Sr., 80, of Fond du Lac, WI, entered into rest Thursday, March 1, 2018. He was born February 12, 1938 in Olive Hill, KY, a son of the late Anna Mae (Conn) & Menifee Patrick. Mr. Patrick was a retired lift fork operator for General Electric in Milwaukee, WI. He served in the National Guard and was a past member of the Olive Hill American Legion. He enjoyed watching basketball, was a good husband and father. He loved his cats and family. In addition to his parents, he was preceded in death by four brothers; Columbus, Paris, Warie and Roma. Russell is survived by his wife, Linda L. Patrick, whom he married on April 6, 1974; one son, Russell (Corrine) Patrick Jr.; three grandchildren, Morgan, Lily and Emily; one brother, LeRoy Patrick; one sister, Pat (Richard) Binion; one niece, Michelle Middleton and two great-nieces, Brianna and Gracie. Funeral services will be conducted at 1:00pm on Sunday, March 11, 2018 at the Duvall & Moore Funeral Home with Bro. J.C. Bond officiating. Burial will follow at the Logan Cemetery in Olive Hill, KY.
Friends may call after 6:00pm, Saturday, March 10, 2018 and after 9:00am on Sunday at the Duvall & Moore Funeral Home and Cremation Service, located at 149 Whitt Street, Olive Hill, KY.